In 1997, ExxonMobil’s then-chairman Lee Raymond told the World Petroleum Congress that fossil fuels are not causing the earth’s temperature to rise. 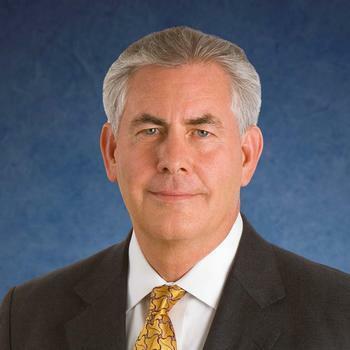 Fifteen years later, ExxonMobil’s CEO (and soon-to-be Secretary of State) Rex Tillerson began acknowledging that man-made climate change is real, but he argued that mankind still shouldn’t cut back on fossil fuels, describing global warming as a problem that can be solved with adaptation and engineering. “You'd save millions upon millions of lives by making fossil fuels available to parts of the world that don't have it," he told the Council on Foreign Relations in 2012. It’s assertions like those that have attracted scrutiny from state government officials who are currently investigating ExxonMobil over its decades-long public relations campaign casting doubt on global warming. Earlier this year, a group of Democratic state Attorneys General formed the group AGs United for Clean Power. Several have also launched civil investigations into ExxonMobil, demanding a long list of documents and records pertaining to public statements that company executives like Tillerson have made about climate change. ExxonMobil has responded by going on the offensive. Most recently, ExxonMobil filed a motion in court arguing that clean power-loving Attorney Generals are discriminating against the world’s largest publicly traded oil company. “ExxonMobil asserts a First Amendment interest to be free from viewpoint discrimination,” ExxonMobil and its team of attorneys wrote in December 19 court filings. Who is behind the supposed discrimination? Massachusetts Attorney General Maura Healey and New York AG Eric Schneiderman. Both are evaluating whether ExxonMobil violated their states' consumer protection statutes. “Specifically, the investigation seeks information regarding whether Exxon may have misled consumers and/or investors with respect to the impact of fossil fuels on climate change, and climate change-driven risks to Exxon's business,” Healey’s office writes online. ExxonMobil countered the civil investigations by filing a lawsuit earlier this year against Healey and Schneiderman, demanding its own stack of records and depositions from the AGs and the environmental groups that they have possibly allied with. In its December 19 filing, ExxonMobil argues that it should not have to turn over its communications or records, especially records relating to think tanks that have minimized the risks of global warming. 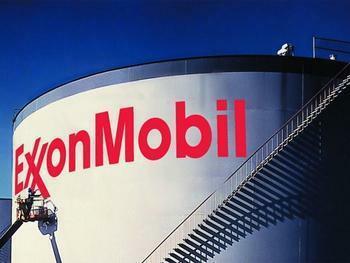 “The CID [civil investigation demand] requests ExxonMobil’s documents and communications with 12 named organizations, all of which have been identified by advocacy organizations as, at times, opposing the views and policies favored by those advocacy organizations with respect to climate change science or policy,” the corporation writes in its December 19 motion. “A state official’s targeting of speakers based on their views is improper content-based discrimination,” Exxon adds. The filing neglects to mention that ExxonMobil has a well-documented history of funneling millions of dollars into think tanks that subsequently cast doubt on global warming. As part of its lawsuit against the AGs, ExxonMobil has previously filed subpoenas demanding records from several environmental advocacy organizations, including the Union of Concerned Scientists and 350.org. "You need to contact our government and public affairs hotline," a person who answered the telephone at the office of ExxonMobil's in-house attorneys said when we called.